Making money on the web is ridiculously easy these days or to use it a webmaster is required who knows how to fully take advantage of the money making opportunities available on today’s internet and how can build an e-commerce superstore quickly, easily, and cheaply. Of course, e-commerce is not the only way to go. In today’s internet world, you did not have to sell anything at all to make a profit. You can take advantage of other sites who sell and make money by referring your customers to them. 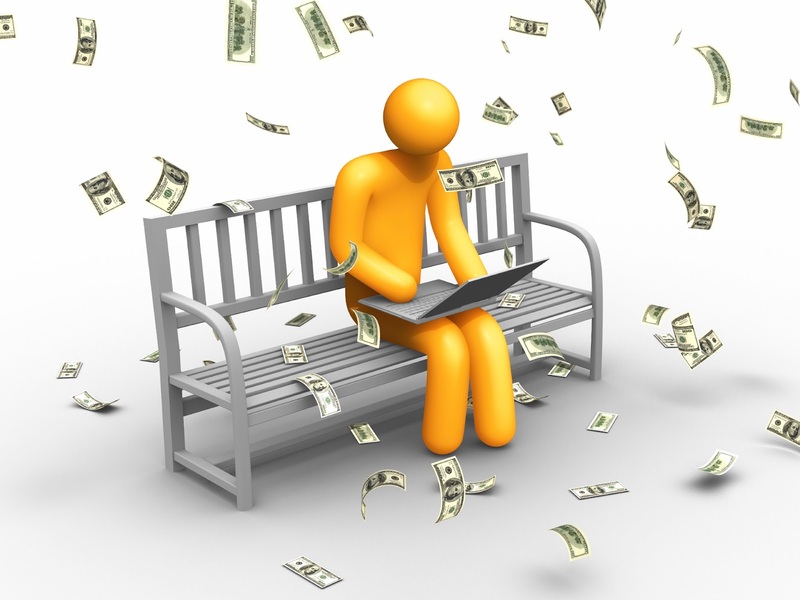 You can find many kinds of web sites that have aim, directly or indirectly, to make money. Apart from online retailers who are the using their site to make money. You can find many websites with various money making features. There are many techniques that can help you make some pretty big commissions without your visitors. these two google programs are very popular ways to both advertise and make money on your website. Adwords are ads that you pay for each time someone clicks on your ad. You create adwords ads based on keywords that you think people will type into the google search engine, when looking for your product or service. When people search for your keywords, your ad appears on the right hand site on the search listings. Adwords also appear on website that are signed up in the adsense program. Each time a visitors clicks on one of these ads, the advertiser pays as an amount and the website owner collects part of that amount from google. Some websites owner make thousands of dollars a months from adsense. 2. 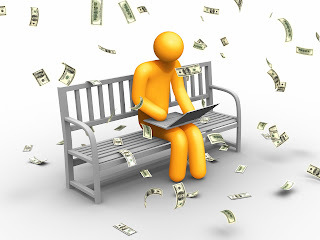 Affiliations: affiliations are a good way to make money on the internet. There are hundreds of affiliate programs available to choose from, representing many different kinds of products. The first, and probably most famous, affiliate program was amazon.com. The great thing about affiliate programs is that you don’t need a products or even a website to make money on the internet. Many affiliate programs give you a web site to advertise. 3. Site build it: Site build it is more than a web host. It’s a one of a kind blend of content, process and tools that drives success. Site build it grows top 3% traffic sites that generate substantial income and freedom. Here’s an easy way to build a successful website on your passion. 4. Autoresponders: Autoresponders can make your advertising efforts easier and more attractive. With an autoresponder, when a potential customer wishes more information about your product, they are automatically sent an e-mail with all the pertinent information. Check out this report from our valuable knowledge section: email, autoresponders, information on demand. Some web hosting services provide autoresponders, or you can sign up with one of several free services such as getresponse.com or a pay service such as aweber. 5. Banner exchanges: banner exchanges are a good way to attract visitors from other web sites. The idea is that you put a banner from another website on one of your web pages in exchange for that site putting one of your banners on one of their pages. A good banner exchange program is run by worldprofit.com. banner are cool but in many ways links are better. People tend to be a guard when they click on a banner. You can position your site better with some well chosen words and a link. 6. E-commerce: e-commerce is what everybody’s talking about these days. Basically, it refers to setting up an electronic store front. You can use forms or shopping carts to take your orders. It is best to accept credit cards or electronic checks for payment, but you can have the customer mail or fax an order in too. 7. E-zines: e-zines are electronic magazines or newsletters that get sent as e-mail to a list of subscribers. They usually except advertising, so this a great way to promote your website or products. In fact, this method of advertising has become one of best way to get targeted visitors to your website. Just pick a news letter that appeals to your intended audience. While we’re on the subject, we need to sign up for our newsletter. 8. Mailing lists: Mailing lists are another way to advertise on the internet. You must be careful when using these lists to make sure the people on list want to receive email about the product or service you are advertising. Otherwise you might be guilty of spamming which can get you banned from many servers. However, it is an excellent idea to get people to sign up for something on your website, so that you can create a mailing list of people to send your offers to. One advertising model is called a link exchange. This is where two or more web sites exchange advertising banners and or links in order to promote each other’s site. Some websites have taken this to an extreme. Link on sites with hundreds of links on a page are probably useless to you. Make sure your link will appear on a page on the site that will actually be found by visitors and it should not buried on a list with too many other links. 10. Merchant accounts: If you are selling things on the internet, you can increase your sales by 40 to 50% by accepting credit cards and electronic checks. There are several ways to do this. You can set up a merchant account online with a company such as quickcommerce. This site uses the #1 merchant provider charge.com to sell it’s valuable knowledge. If you you have a small business, a new business, an internet business or a mail order business and if your credit is not so good, or have been turned down before, you’ll be paying extraordinary fees to obtain a merchant account. Beyond this AIS Merchant Services makes getting a merchant account quick and easy. Link exchange is new thing for me. Thank you for your description. :) :) I have to find a good blogger for exchanging.